1.These are our coolest and most popular items! These glasses would turn any event into unforgettable days & nights. 2.Each Pair of Eyeglasses Has an On & Off Switch. Batteries are included and installed. 3.The earpieces are made of flexible plastic to adjust to the frame of the face of the wearer. 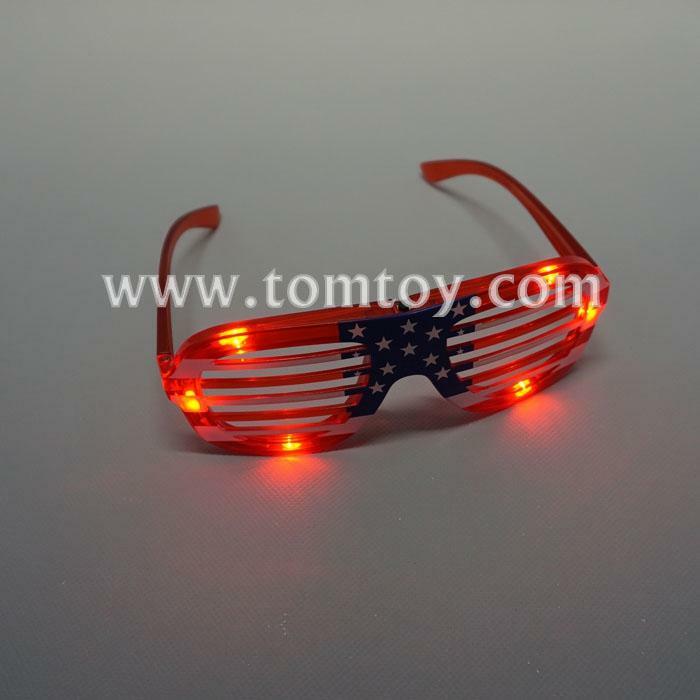 4.Printed an America flag on the glasses.